A few years ago, I started this column stating that I loathe an editor’s column that prattles on about something new in the publication. And then I proceeded to do just that. I still don’t like columns that talk about what’s ahead for readers. And … yeah, I’m going to do it again. What we’ve done at Stone Update is more than moving around the layout or using a new typeface for bylines. We’re changing the way we present Stone Update Magazine, and also taking a new approach with our twice-monthly Slab & Sheet e-newsletter. Why? Because you’re telling us. We keep an eye on how you read us online We don’t get creepy about it – we don’t tfollow you around after you go elsewhere on the Internet. We do care about what you look at, and how you access our sites. With Stone Update Magazine, we’re seeing a clear march from the desk-bound to those on the go. In the last three months of 2018, more people read us on desktop/laptop computers than on any other device … but, while 67% of you did so in the final quarter of 2017, only 56% sat at a keyboard for last year’s fourth quarter. The last issue of November/December 2018 saw the margin get closer. The desktop/laptop share dropped to 50.2% … so if the trend continues, more people will read this issue on a smartphone or a tablet. Things will look different this issue. What you’ll read in this issue, as far as content, will be similar to previous issues. It’s the presentation that’s changing with simplified navigation, and we’ve prepared a short video on this. We’ve also adopted a newer format from Instant Magazine, the company in the Netherlands that operates our publishing platform. Much of this involves technical gee-whiz stuff that’s well over my head, and I hope the changes don’t appear glaring. To be honest, you may not notice them much at all … and that’s perfectly fine. The quick-and-dirty explanation: The new format gives us more ways to customize the layout for tablets and smartphones. Our previous format did a great job redrawing itself for different screen sizes; we ow go one better and can change all sorts of spacing, photo sizes and headlines, all based on the displays you’re using. We can change layouts to fit narrow screens on phones, while still taking advantage of the wide-open spaces. As editor, I also made changes in some of our layouts with an eye on simplicity. The previous format used ading screens and some terrific animation, but it also slowed down response time between our servers and your devices. It made us look good, but at the expense of your time, so now there’s less wizardry and more speed. I also took a close look at our twice-monthly e-newsletter. After starting as The Full Bullnose in spring 2011, the newsletter went through several identities and schedules before settling into Slab and Sheet in early 2015. All through this time, however, an identity crisis kept growing. 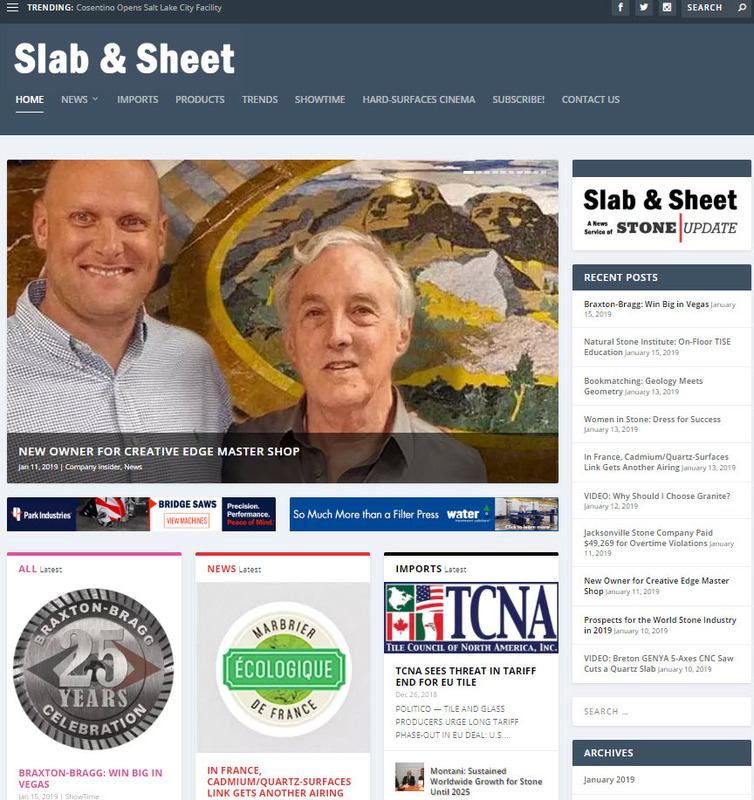 Slab & Sheet was designed to be a website-based newsletter at slabnsheet.stoneupdate.com, with an email full of highlights sent to readers twice a month. From the beginning, readers identified the email as the newsletter and the website attracted little attention. We also used a software platform from a Swiss company, paper.li, that worked fine but didn’t allow for customization. That changed at the beginning of this month with the launch of a new website, www.slabandsheet.com. We designed a website from scratch to provide a news service on hard surfaces that’s constantly updated. 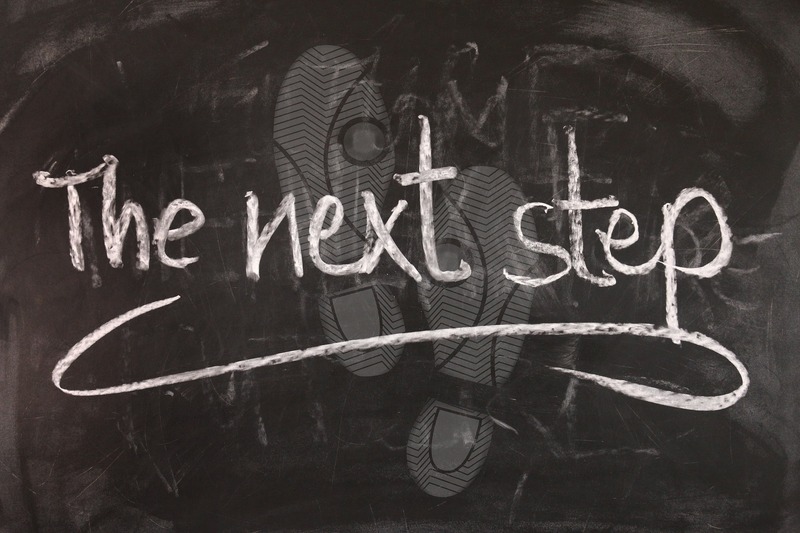 Content is refreshed daily – not only from www.stoneupdate.com, but from online media around the globe -- with a clear organization of items based on industry topics. Videos also get their own space with our Hard-Surfaces Cinema. You’ll still get a twice-monthly e-newsletter calling out the highlights, but we’ve done some tweaking to nudge you to the new website. Once you’re there, you’ll find our hand-picked selection of articles in a comprehensive collection you’ll get nowhere else. All of this isn’t change for change’s sake. We’ve done this to give you more and deliver it to your liking.